As the warm weather of Spring begins to take over most of the country, there's only one thing on everyone's mind: Beach bummin' ! If you are looking for a small town beach that hasn't lost it's Old World charm, we have the destination for your next road trip. 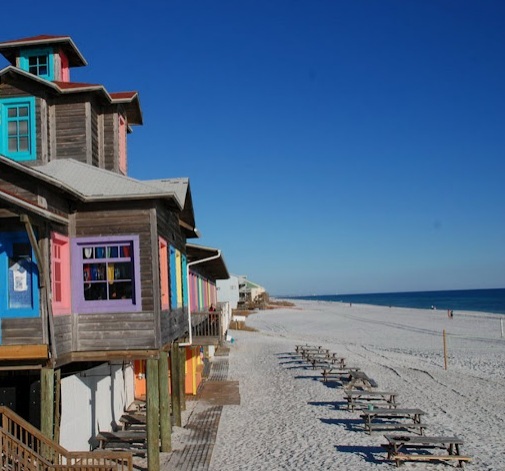 Mexico Beach is located on a quiet stretch of Florida's panhandle. A small fishing village with a beautiful beach, this town has been lucky to miss out on some of the development on other panhandle cities like Panama City and Pensacola. You won't see a high rise anywhere in Mexico Beach. No large strip malls. Not even a traffic light. Instead, all you will find are comfortably beach rentals, a beautiful shoreline, and a laid back atmosphere. That's part of the allure in this forgotten coastal town - simplicity. Fisherman will feel right at home in Mexico Beach. The fish are so plentiful, you can see them swimming just off the shoreline. Wading into the beach waters, you will be surprised at how many fish are visible swimming around in the calm clear waters. You'll feel like you can just reach down and grab your dinner! 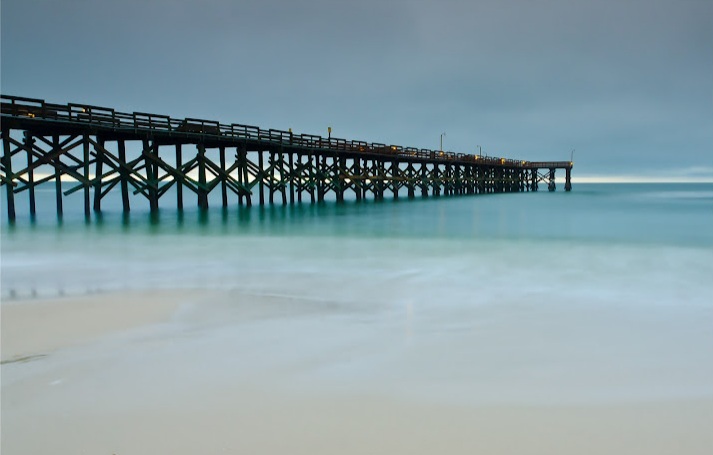 If bare handed fishing on a beach isn't your style, there's also a fishing pier at 37th Street or the Mexico Beach Canal Park where you can drop a line and relax for the day. If you would rather view nature instead of eat it, there's a nature lovers paradise on secluded Crooked Island. Not an actual island at all, this narrow peninsula west of Mexico Beach is an expansive salt-water lagoon perfect for shelling, canoeing, or wind-surfing. Don't forget that you'll be in Florida's famed oyster country. A visit isn't complete until you have been to an oyster shack. One of the best is located just a short drive from Mexico Beach, and before Apalachicola: Indian Pass Raw Bar. At Indian Pass, they have been serving fresh oysters for 100 years. In short, they have perfected the art of the raw bar. Show up in flip-flops and a tank top, and you will be rewarded with a laid back beach atmosphere and some of the most delicious oysters, shrimp, crab legs and seafood gumbo that you have ever tasted. Of course, the main attraction to Mexico Beach is the beautiful warm emerald waters of the Gulf. Here, Mexico Beach does not disappoint either. The packed white powdery sand is picturesque and will quickly put your mind at ease. The waters are insanely clear, thanks to the protection provided by the nearby Cape San Blas. Sit under an umbrella, dig your toes into the sane and take it all in - the soul-soothing solitude will make you feel like you're in beach-goers-heaven.